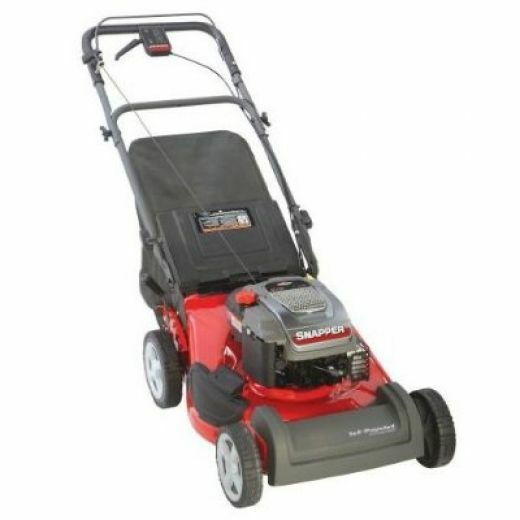 Snapper has complete lines of residential as well as commercial lawn care equipment that is easy to own, easy to use, and easy to maintain. If you are looking for a walk-behind mower, high performance garden tractor, or zero-turn mower you've come to the right place! Whether your yard is large or small...with wide-open spaces of lots of landscaping and trees to trim around, there's a Snapper walk-mower for you. 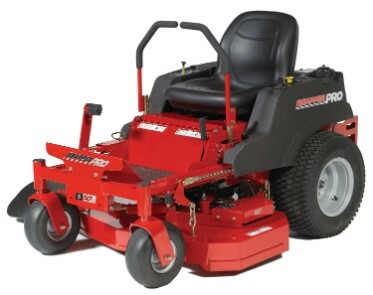 Choose between push mowers and self-propelled models. With Snapper's famous "3-N-1" convertibility, your mower can be converted from side-discharge to mulching to bagging (most models). When it comes to the Snapper walk-behind mowers, the only real decision to make is choosing which is best for you. Height-of-Cut 1.25" to 4.0" 1.25" to 4.0" 1.25" to 4.0" 1.25" to 4.0"
Front Wheel Size (in) 8" X 1.75" 8" X 1.75" 8" x 1.75" 8" x 1.75"
Rear Wheel Size (in) 10" X 1.75" 10" X 1.75" 10" x 1.75" 10" x 1.75"
Height-of-Cut 1.25" to 4.0" 1.25" to 4.0"
Front Wheel Size (in) 8" x 1.75" 8" x 1.75"
Rear Wheel Size (in) 10" x 1.75" 10" x 1.75"
Height-of-Cut 1.25" to 4.00" 1.25" to 4.00"
Front Wheel Size (in) 8" X 2" 8" X 2"
Rear Wheel Size (in) 9" X 2" 9" X 2"
Height-of-Cut 1.25" to 4.0" 1.25" to 4.0" 1.25" to 4.0"
Front Wheel Size (in) 8" X 2" 8" X 2" 8" X 2"
Rear Wheel Size (in) 12" X 2" 9" X 2" 9" X 2"
Front Wheel Size (in) 8" x 2" 8" x 2" 8" x 2" 8" x 2"
Rear Wheel Size (in) 8" x 2" 12" x 2" 9" x 2" 9" x 2"
Height-of-Cut 1.00" to 3.35" 1.00" to 3.35"
Front Wheel Size (in) 7" x 2" 7" x 2"
Rear Wheel Size (in) 8" x 2" 8" x 2"
Height-of-Cut (in) 1.5" to 4.0" 1.5" to 4.0"
Height-of-Cut (in) 1.5" to 4.0" 1.5" to 4.0" 1.5" to 4.0"
Height-of-Cut (in) 1.5" to 4.0"
Cutting Width 28" 30" 28" 33"
Height-of-Cut (in) 1.5" to 4.0" 1.5" to 4.0" 1.5" to 4.0" 1.5" to 4.0"
Height-of-Cut (in) 1.0" to 3.75"
You have to see it to believe it. The maneuverability and speed of a zero-turn mower is always impressive. 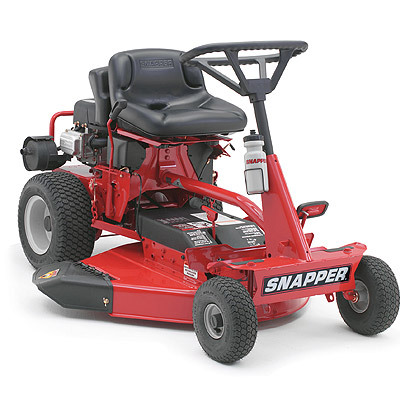 Snapper is proud to present a full line of affordable zero-turn mowers built exclusively for homeowners. All featuring the legendary quality and ease of use for which Snapper is known. Whether it's the zippy 150Z, the NEW 285Z, the quick and versatile 355Z, or the heavy-duty 500Z, Snapper zero-turn mowers have the features and conveniences you've been waiting for. Fuel Tank Capacity 3.0 U.S. Gal. 3.0 U.S. Gal. Height-of-cut Range (in) 1.5" to 3.75" 1.5" to 3.75"
Cutting Width 46" 52" 42"
Height-of-cut Range (in) Infinite, 1.5" to 3.75" Infinite, 1.5" to 3.75" Infinite, 1.5" to 3.75"
Height-of-cut Range (in) Infinite, 1.5" - 3.75" Infinite, 1.5" to 3.75"
Height-of-cut Range (in) 1.5" to 4.5"